Quintessential Highland country such as this, marked by single-tracked roads, breath-taking emptiness and a wild, fragile beauty, is a rarity on the modern, crowded and highly urbanised island of Britain. You could get lost up here for weeks – and that still wouldn’t be enough time. Carving its way from Thurso to Glencoul, the North & Northwest coastline is a feast of deep inlets, forgotten beaches and surging peninsulas. Within the rugged confines the deep interior is home to vast, empty spaces, enormous lochs and some of Scotland’s highest peaks. The remarkable thing about the landscape is that it makes you feel special. Whether its blazing sunshine or a murky greyness, the character of the land is totally unique and constantly changing – for that window of time in which you glimpse it, you capture an exclusive snapshot of this ancient area in your mind (or on your camera). Park the car and gaze. This Northernmost slab of the Highlandsis the stuff of coastal-drive dream. 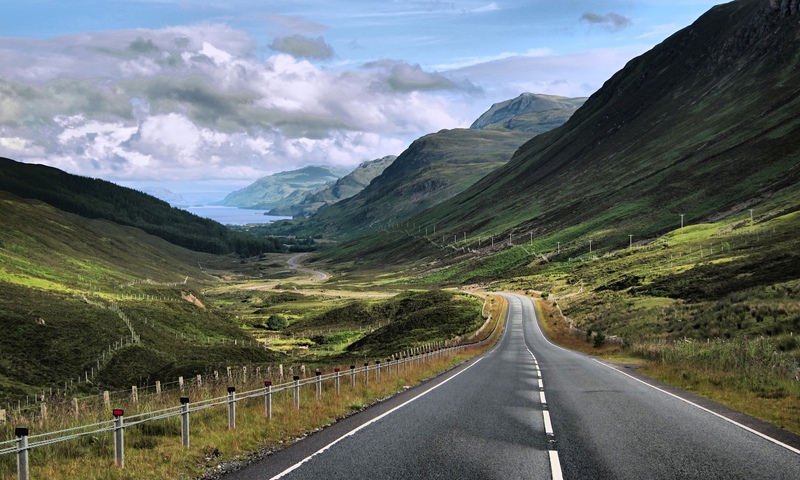 The North & West Coast of Scotland are a must see attraction on your Scotland tours.